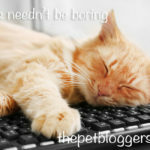 Of course you can dive straight in and start your pet blog without any thought at all. And if you are a ‘seat of the pants’ type person, you may be tempted to do just that. But we think not planning is for chickens. The rest of us need to get on and do it. And if you read this section, you’ll discover some very important reasons to spend a little time planning, before heading to the start line. It will be well worth the time you invest. A very few years ago the internet was a bit like the frontier. A vast uncharted territory where you could stake your claim on some prime real estate by virtue of just being there. 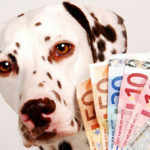 If you wanted to buy puppiesforsale.com or cats.com ? No problem. Nowadays it is a little different. We need to be more creative, because it can feel as though all the great domain names are gone. They haven’t all gone, yet, but you’ll need to think outside the box. 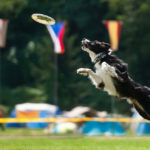 People used to think that is was critical to include keywords in your domain name, and while this may help people find an authority blog, we did this with thelabradorsite, it certainly isn’t necessary for a personal pet blog. There are plenty of hugely successful blogs that don’t have keywords in their domain name at all. Blogs with names like Mashable for example. So at this point you need to think a little about your aims, and about the type of blog you are creating . Do you want to be the world’s leading authority on racing pigeons? 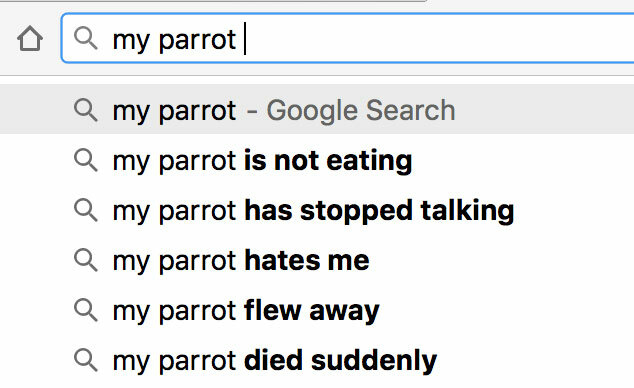 If so, you probably should have ‘racing pigeons’ in your title. But you may well succeed with a name like ‘flyingthere’. Who knows? So don’t sweat it. Choose a name you like, and that is fairly short and easy for people to remember and type. 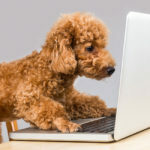 Calling a website ‘the alternative canine health and fitness website” is good way to ensure that some people type your web address in wrong and then give up. Dot com or dot pet? If you are in the UK and you want to use .co.uk that is fine for a local business, if you are a dog walker, cat sitter, or behaviorist for example looking for local clients. But if you are hoping to grow your site to an international audience, a dot com address is the way to go. If you have your own business, you can use your company name provided that it isn’t already taken. Otherwise you’ll need to brainstorm some ideas for fun or memorable names around some aspect of your topic area. This second step is entirely optional, but I like to have a gmail address for each website and its associated media accounts. And I usually set this up at this point. I use this dedicated address to register any tools I use for the blog and for social media associated with it. If everything you do on social media is in your own name and profile, then you can stick with your personal email address for everything. If you are starting a blog with an eye to making money, whether through advertising or selling your own products and services, you are going to need some visitors. And to get visitors you are going to have to compete with other websites. You’ll need to do a private or incognito google search for some typical search terms that you want your new website to rank for. If you are a dog trainer in Manchester for example, you’ll need to search for ‘Manchester dog trainers’ and see who comes up in the top ten on page one of Google. Very few people look further than page one, so unless the front page is all taken up with brands, or big vet sites, for example, the front page is all you will need. If you want to set up an authority site on an individual type of pet, you must know who you are up against. Ignore major food or equipment brands and mega sites like wikipedia or petMD. Note down the names and web addresses of these top ten sites. You’ll want to refer back to them in the future, they’ll be useful sources of information for your social media sites, and it will be fascinating to compare your progress with theirs in the future. People talk a lot about keywords when it comes to building websites. Let’s be clear, you should not be building a website purely around keywords if you want to enjoy writing it and your readers to enjoy their visits. Keywords are the words that people type into google search boxes when they are looking for something. If you are writing for people, in a natural and helpful way, you will include many keywords naturally in your posts. 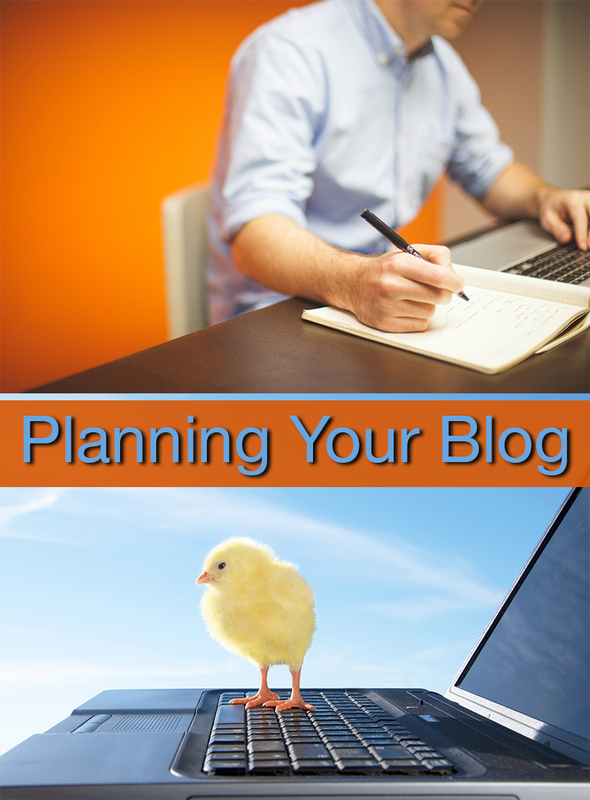 But that doesn’t mean that your blog won’t benefit from a little planning and help on the keyword front. Good places to put important keywords are in your article titles and subheadings. 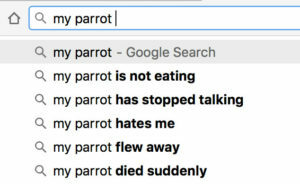 When you start to think about keywords, its important to recognise the limitations of a new website or pet blog. You need to tackle the easier keywords and the less successful competitors first. These easy keywords are often referred to as long-tailed keywords because they are not actually a single word at all. They are a whole string of words. Or for ‘training a rescue dog’ or for ‘rehabilitating dogs with behavior problems’. And so on. 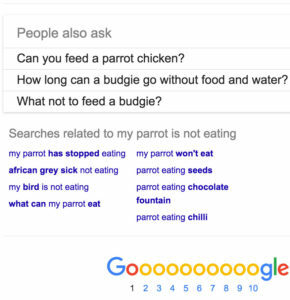 When you begin a sentence, google automatically fills in suggestions based on what others have looked for. Click on the first suggestion and scroll straight down to the bottom of the page. 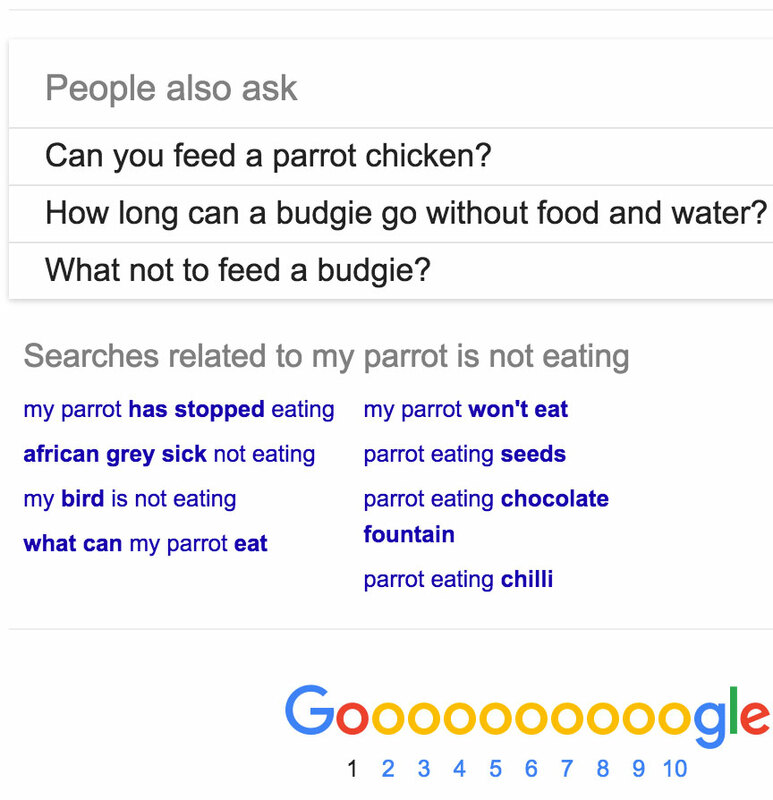 Do a search like this with a few words about your chosen topics. Chances are, you have several ideas already of posts you’d like to write for your blog. Creating posts is optional at this point but we always do. You’ll need to do it sooner or later, and it will help you when it comes to setting up your site design, if you have some posts ready to go and play around with. This is not about creating a masterpiece. Though its fine if you want to. These posts are unlikely to be your best work. You’ll be improving constantly over the next weeks and months. So again, don’t sweat it. If you can think of four or five topics you’d like to write on, this is a good time to cut your writing teeth and make a start. Aim for 750 to 1000 words and try to cover different aspects of your blog subject in different posts. Perhaps another on a particular type or species of snake, and so on. Write your posts in Word or Scrivener if you have it (more of that later) and keep a copy of everything safely on a flash drive. Most websites benefit from being divided into topics. 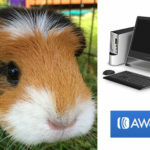 So, for example, if you are writing about hamsters you might want to divide your website into finding a hamster, feeding a hamster, hamster health, and so on. The navigation menu serves two purposes. One is to enable people to find what they want quickly and easily. If they can’t do this they are likely to leave. A hub post is simply a blog post that links out to lots of other posts on your website. The benefits of the hub post are that is easy to create any kind of content, bullet points links etc, and to insert images and to arrange them, in any way you choose. The benefit of linking your menu item to a category page is that a bit like blog feed, the category page populates itself with the latest posts from that category. There is no need to update it. And the new material is always at the top. On the downside, you’ll need to know some html code in order to put much in the way of text or images in the introductory part of the page. All that remains now is to brainstorm 50 article ideas for your blog. 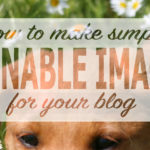 This is especially important for an authority blog or a blog to promote your pet business. Fifty might seem a lot but if you can’t come up with fifty ideas now while you’re feeling fresh and enthusiastic, you certainly won’t be able to come up with fifty ideas in six months time when the novelty has worn off. You won’t use them all, that’s fine and of course you’ll have lots of new ideas to add them as you go. Get a big piece of paper and start brainstorming. Think about each of the different aspects or categories of your blog in turn. Write each title idea down in your notebook. Plug each title idea you create into Google and get more suggestions at the bottom of the screen. If you get stuck, visit your ten competitors and see what they are writing about – don’t copy their titles (and certainly don’t copy any of their content) , just get some ideas from a range of different sites. 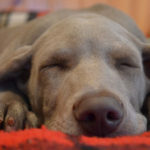 If this is a personal ‘journal’ blog, documenting life with your pet, then this stage isn’t so crucial but it will still be helpful to you later. Think about all the different things you might do with your pet. Outings, holidays, grooming, exercising, building a bed or house, adapting your home or garden, visiting friends, introducing to kids or other pets, and so on. We’ll be talking more about article ideas later, but at this stage finding fifty title ideas should come fairly easily to you. 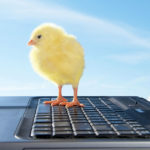 If it doesn’t it may be a sign that you need to rethink the topic of your blog. Once you have a good selection of blog title ideas, you are ready to move on to Stage Two and get your website up online!